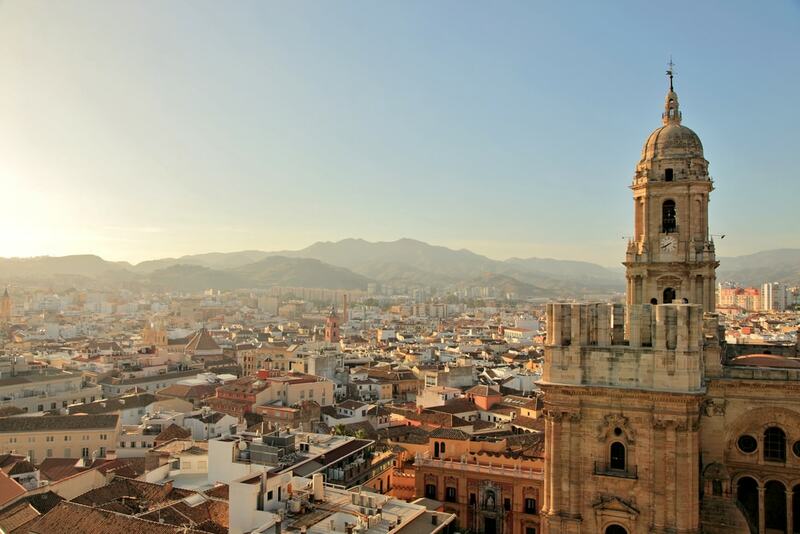 You can’t leave Malaga without visiting its Cathedral. 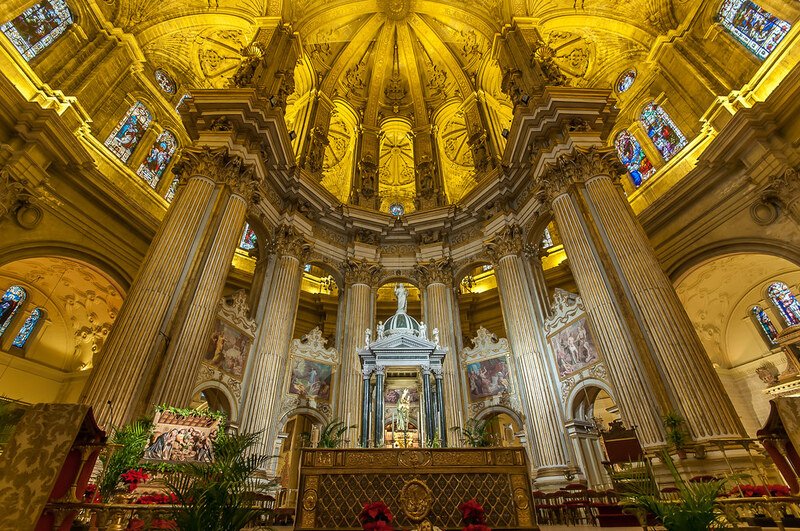 Either because of the peculiar architecture or because of its beauty and symbolism, you will fall in love with Malaga Cathedral as soon as you enter its doors. 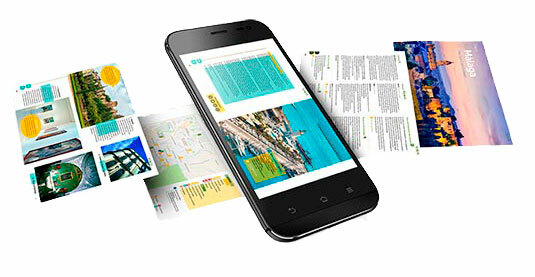 Want to know why you should visit it? Then keep reading! Malaga Cathedral is the city’s most famous monument, which you can see from almost every point of the capital of the Costa del Sol. It’s the tallest cathedral in Andalucia, and it’s also one of the most peculiar thanks to the absence of what was supposed to be the building’s second tower. The Malaga Cathedral is easily reachable, as it’s located in the city centre and it’s visible from almost every part of the city. Just look up, and you will find its tower standing out in the blue sky of the capital of the Costa del Sol. The Cathedral is located in Molina Lario street, facing the famous Plaza del Obispo, one of the most visited squares in Malaga. As the historic centre of Malaga is almost entirely pedestrian, no bus will take you directly to the building. Therefore, if you’re getting to Malaga by bus or by train, you will most likely jump off at the María Zambrano train station or the bus station located right behind it. From here, you can take different bus lines to get to the city centre. Line 1: Towards “Parque del Sur” and stop at “Paseo del Parque – Plaza de la Marina”. Line 3: Towards “El Palo (Olias)” and stop at “Paseo del Parque – Plaza de la Marina”. If you’re reaching Malaga by plane, check this post about how to get to the city centre from the airport. The Cathedral was built between the 16th and 18th century on the rests of the city’s mosque, of which only the Patio de Los Naranjos was kept. 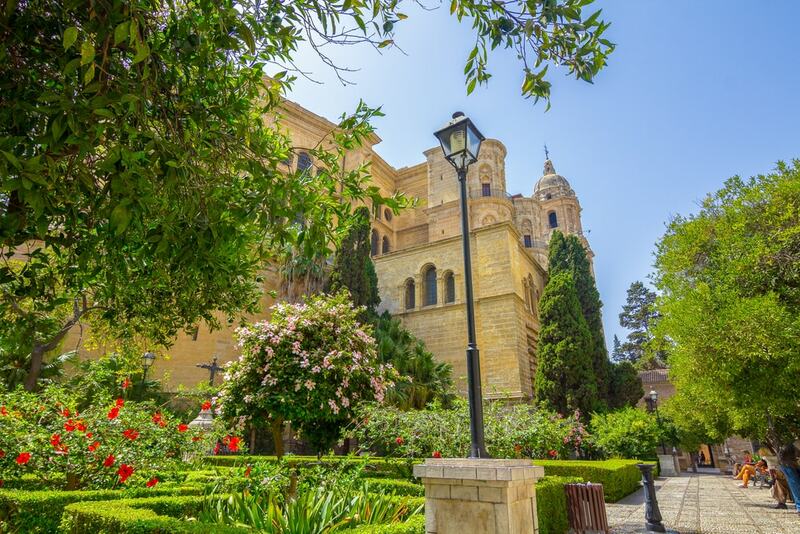 When the Christians conquered Malaga in August 1487, they consecrated the Mosque and converted it into the Church of Santa María de la Encarnación (Saint Mary of Incarnation, to whom the Catholic Monarchs were especially devoted). The renovation works started in 1510 when the impressive Gothic façade was built. In the following years, various chapels, altars and naves were added under Baroque and Renaissance influences. The Cathedral started welcoming the cults only in 1768, even though the towers and the decoration of the newly built chapels were yet to be completed. The Napoleonic wars and the lack of funds left the Cathedral incomplete, as it’s still remains nowadays. 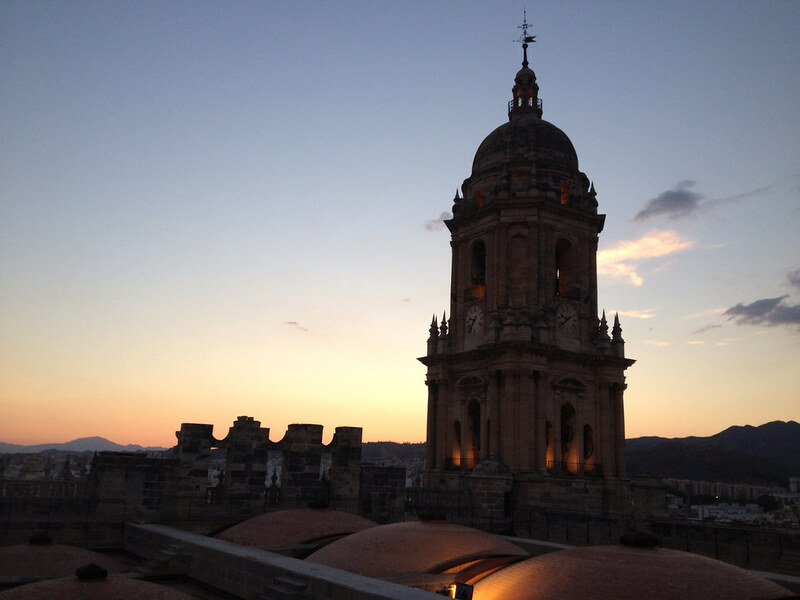 Why is Malaga Cathedral called “La Manquita”? 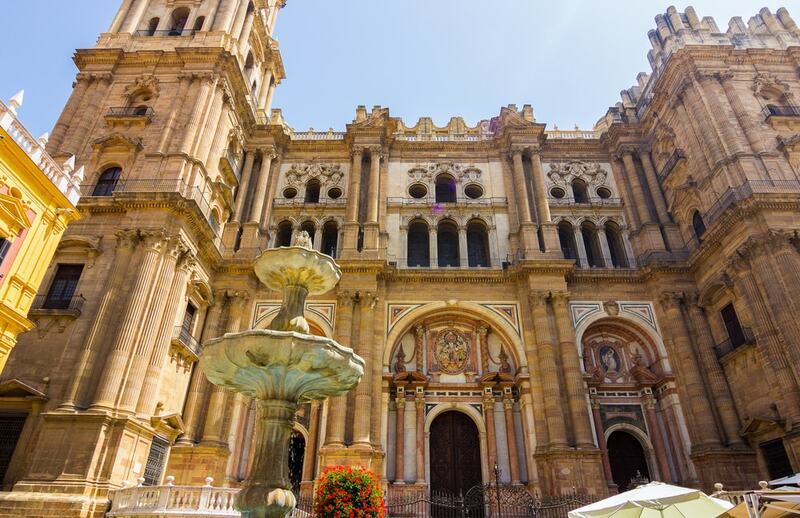 Although the full name of Malaga Cathedral is Santa Iglesia Catedral Basílica de la Encarnación, locals affectionately know it as “La Manquita” (The One-Armed Lady). This is because the Cathedral lacks the second tower that was in the original plans of architect Diego de Siloé. Legend has it that the funds destined to the construction of the tower were donated to the American Revolutionary War, whereas others state that the funds were destined to the more important construction of the road connecting Malaga to Vélez-Málaga. Either way, the construction works of the Cathedral stopped at the beginning of the 17th century, and the Cathedral was left with “one hand” ever since. The Cathedral is one of the most important Spanish Renaissance buildings in Andalucia. The North Tower (which is also the Cathedral’s only tower) sits in the left side of the main façade, and it’s 87 metres tall converting the Cathedral in Andalucia’s tallest. Don’t miss out on the Portada del Sagrario (the Sanctuary’s Façade), also known as Puerta del Perdón, whose number-one goal was to preach the Gospel through the representation of Virgin Mary on one side and the double-nature of Jesus on the other. It’s located near the Patio de los Naranjos, in Cister street. The 16th-century apse completely lacks decoration, but it’s provided with splendid stained glasses that let the sunlight shine through. The Altar Mayor (mayor altar) and the choir stand out in the three-nave, rectangular-shaped interior of the building. Likewise, the 4,000-tube organs are harmoniously located in the laterals of the Cathedral. Focus on the Baroque carpentry of the choir by the great Baroque sculptor Pedro de Mena. If you fancy sculpture, get closer to the marble “Piedad” (the Pieta) presiding the retrochoir. Inside the Cathedral, look for the 10-metre wide, oval-shaped painting on an elephant’s skin. The Cathedral has also been used as a film set for various Hollywood movies, such as “The Bridge of San Luis Rey” in 2004. How can I visit the Cathedral? Take note of the following opening hours and prices, but always remember to check the official website of the Cathedral (only available in Spanish). 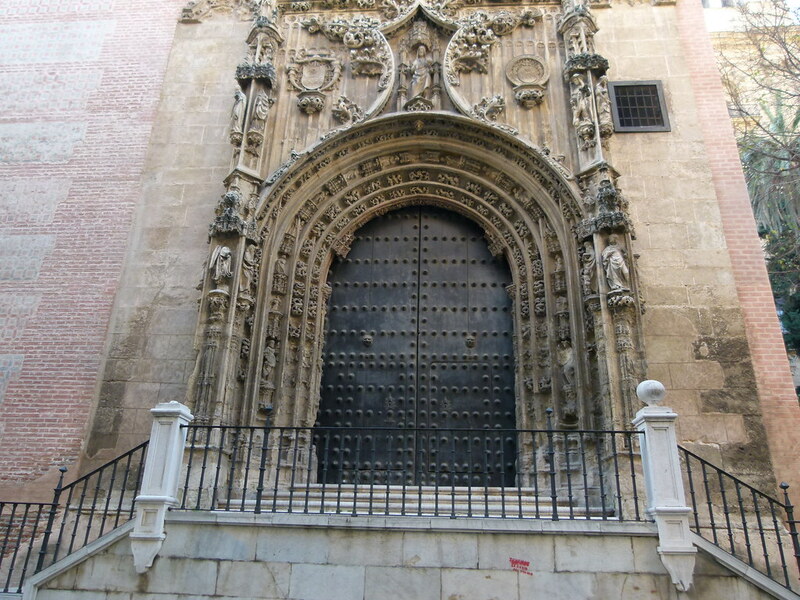 The Cathedral is also accessible for people with reduced mobility, who can access from the lateral entrance near the Patio de los Naranjos, in the Cister street. Tickets include a visit to Ars Málaga (an artistic and cultural space belonging to the Diocese of Malaga and located in the Palacio Episcopal) and an audio guide in Spanish, English, French, German, Dutch, Portuguese and Italian. Free visits: During the Mass. Free visits don’t include the audio guide. 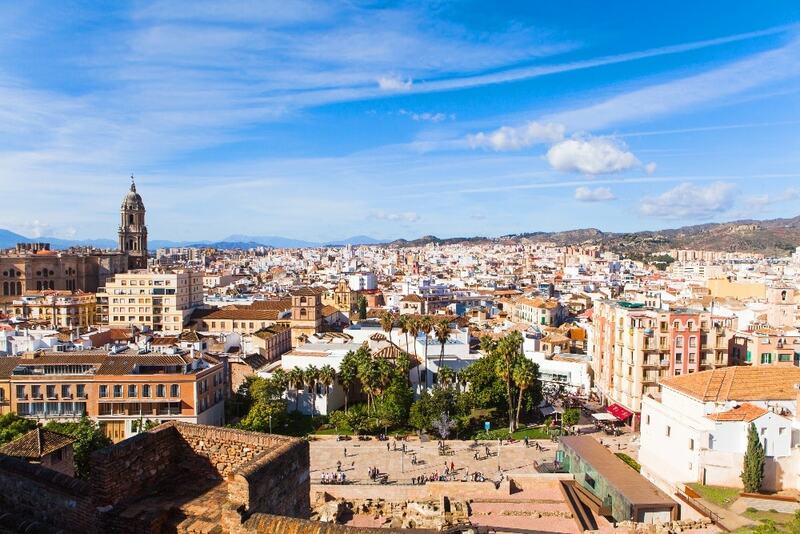 Since 2015, it’s possible to access the rooftop terraces of the Cathedral, from which you will enjoy some splendid panoramic views of the city, the Alcazaba and the castle of Gibralfaro. 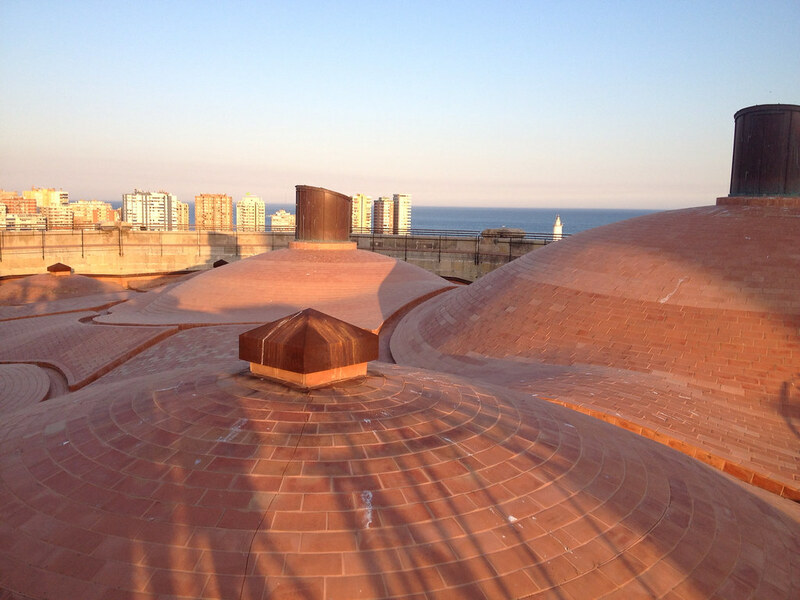 Guided visits to the rooftop terrace are available every 30 minutes. 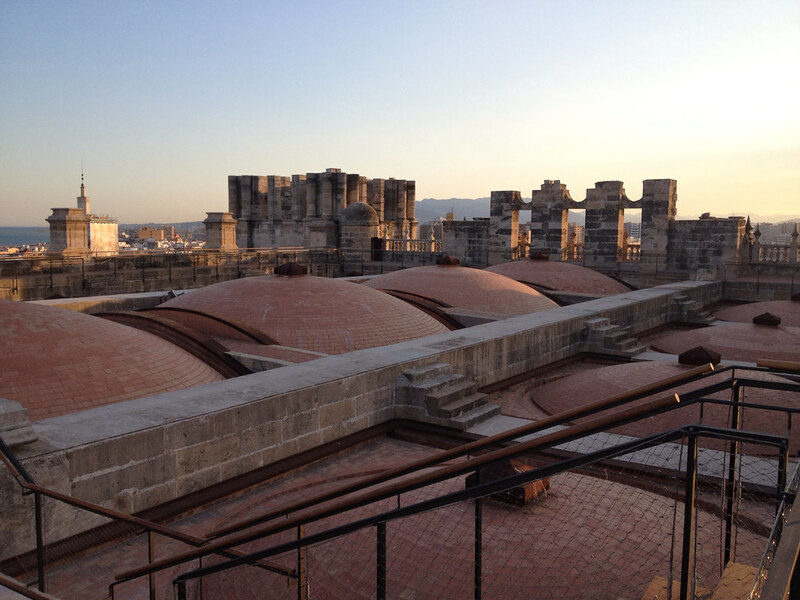 Keep in mind that 200 steps separate you from the rooftop terraces. Therefore, the visits are not recommended to people with respiratory difficulties, reduced mobility, pregnant women, babies and those who suffer from claustrophobia and vertigos. To stay in one of the best villas in Malaga is how you can call your holidays complete. Therefore, we’re providing you with a selection of some villas in Malaga province, so that you can choose the one you fancy the most.